>> Ready, Set, Book Launch! Now the real work begins! Marketing. Ugh. I mean, yay!! I thought it might be helpful on this site to document what I’m doing… what’s working and what isn’t. Let me be honest, the marketing part of indie-publishing can be bit overwhelming to me. With so many experts and so much advice it’s hard to know where to start. To prevent overload syndrome (aka analysis paralysis), I’ve chosen to use Michael Hyatt’s Platform and Guy Kawasaki and Shawn Welch’s APE: Author, Publisher, Entrepreneur as my guide books. The hardest part for me on this was the Media Resources page. It feels a little like it’s “all about me,” ugh. But I’m following Hyatt’s advice as closely as possible. I still need to add the suggested tweets for readers. Amazon Author Central: updated with new book and revised bio. GoodReads.com: requested and received an author account. Now to complete the profile. Email Campaign: Today (5/30/2014) I’ve begun emailing friends and business contacts to ask them to review the book on Amazon. Now it’s time to get back to work. 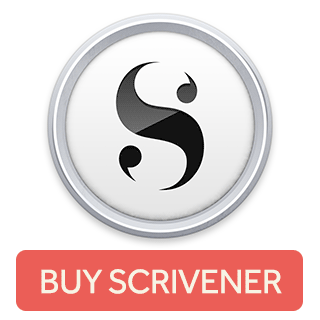 I hope this info is helpful for you as you work on your own book marketing plans. I’d love to hear what’s worked well for you, leave a comment below to share your book launch tips. 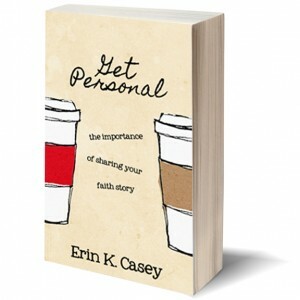 The book, Get Personal: The Importance of Sharing Your Faith Story, offers both encouragement and practical guidance on how (and why) to speak up about the ways God is active in our lives today. It isn’t about being a missionary or an evangelist, or trying to convince or convert people. I’m looking for people to help spread the word about Get Personal. What does that involve, exactly? It’s simple! Step 1: Let me know if you’d like to help. 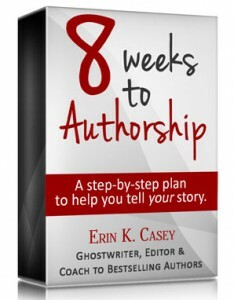 Message me on 48days.net or send me an email at erin@erin-casey.com. 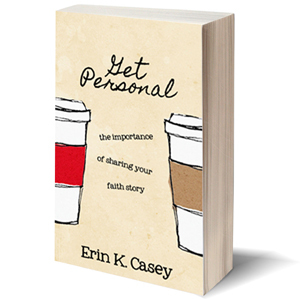 Step 2: I will send you a free PDF of Get Personal. Tell your friends (in real life and on Facebook, Twitter, Google+, etc.) about Get Personal. Buy a copy for a friend or student who’s going on a mission trip this summer. I’ll be posting pictures and quotes from the book on Facebook and other social media sites. If you like what you see, please click “share” so others can benefit. If you post a review on a blog or other book review site, please send me the link so I can add it to the book’s site: ShareYourFaithStory.net. I’m also lining up a blog tour and would be honored to write a post for your audience or to do an interview with you. Please email me at erin@erin-casey.com to schedule. Have you ever felt as if you wanted to speak up about your faith in Jesus, but didn’t know where to start? When it comes to sharing my faith, I’ve often felt a disconnect between the passion of my heart and the words that fall haphazardly out of my mouth. I know what I believe; I just don’t always know how to say it. I am apt to stumble over my thoughts during a conversation with a person, and then after we’ve parted ways, my brain fills with all sorts of brilliant things I wish I’d said. Add in the self-inflicted stress that comes from my not wanting to botch opportunities to share something important—especially when it comes to matters of spiritual life and death—and too often I either stand there tongue-tied or offer an incoherent message that confuses people instead of enlightening or encouraging them. That’s why I wrote Get Personal. I wanted to be able to have brief conversations that offered hope or sparked someone’s desire to know more about the Jesus I love. And I wanted to do it without sounding preachy, religious, weird, or like a goody-two-shoes. I also wanted to encourage other Christians to speak up about Jesus and the difference knowing Him makes in their lives. Through study and practice I’ve learned how our real-life stories can be a powerful, nonthreatening way to share our faith. The same is true for our faith stories. Facts are important and necessary—we should never omit sharing the Scriptures. But sometimes, allowing others to peek into our lives and see how God works in our hearts and guides us through challenges helps to make Him relevant and real today. Stories of how God reaches into our lives today with love, grace, strength, healing, and hope remind us that He is alive and powerful—and that He still wants all people to know Him. But maybe you’ve been a Christian since childhood and you think your faith story isn’t all that exciting. Or maybe you feel like your story is too personal to share. Or perhaps you just don’t know exactly what to say or where to begin. That’s where Get Personal comes in. This little book offers guidance on how to put what matters most into words that encourage others and glorify God. And through the process, you’ll be reminded of God’s love for you. Why we must share our faith stories. What your personal faith stories are. How to share your stories more effectively… and without sounding preachy, religious or just plain weird. That you can be respectful of someone else’s worldview without wavering on your own. You have a story to share that could help someone better understand who Jesus is and how knowing Him makes a difference. Get Personal will help you discover and share it. Here’s what others are saying about Get Personal.